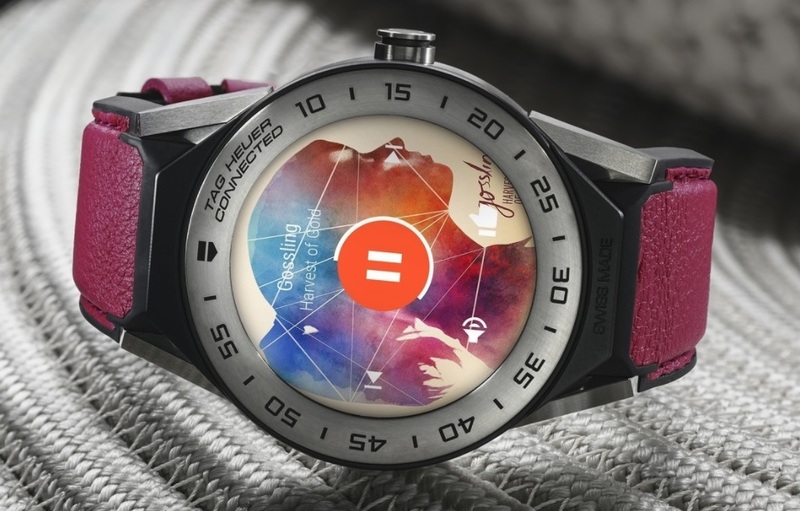 Just like every year at CES, worlds top tech companies come under one roof to bring some new smartphones, gadgets and Android wear announcements and this year at CES 2018 companies has some big tech announcements too in addition to this TAG Heuer has Launched Connected Modular 41 Smartwatch AT CES 2018. The Connected Modular 41 is a smaller and cheaper version of the Connected Modular 45 that launched in March of 2017. The watch lets you customize the band, buckle, lugs, and bezel (aka module) surrounding the screen, its lot more similar to the Modular 45. The company will also be launching three different leather straps alongside the watch in Pink, Blue, and White colour. Talking about the features and specs of the watch, Modular 41 comes with AMOLED 390 x 390 display, GPS, NFC for using Google Pay, it comes with 8GB RAM and 1GB of internal storage. The watch comes running with Android Wear 2.0 out of the box, but it’s unclear at this time if Oreo is present out of the box. The TAG Heuer Connected Modular 41 has a starting price of $1200 that’s about 76,000 INR, I think the price is too high compared to the watches such as the LG Watch Sport and Huawei Watch 2. What you think would like to buy a $1200 price tag watch? do let me know in the comments section down below.